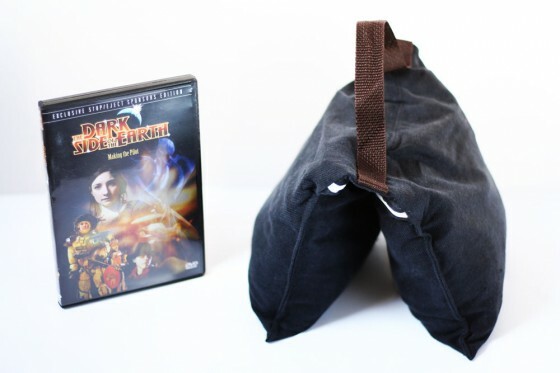 There’s been quite a bit of interest in the lighting sandbags Katie made in the last Stop/Eject podcast. Some people who have not mastered the art of sewing have nonetheless expressed an interest in getting their hands on such a sandbag. So I thought, why not offer these two lovely items to the general public? Note: the following offer is no longer available. 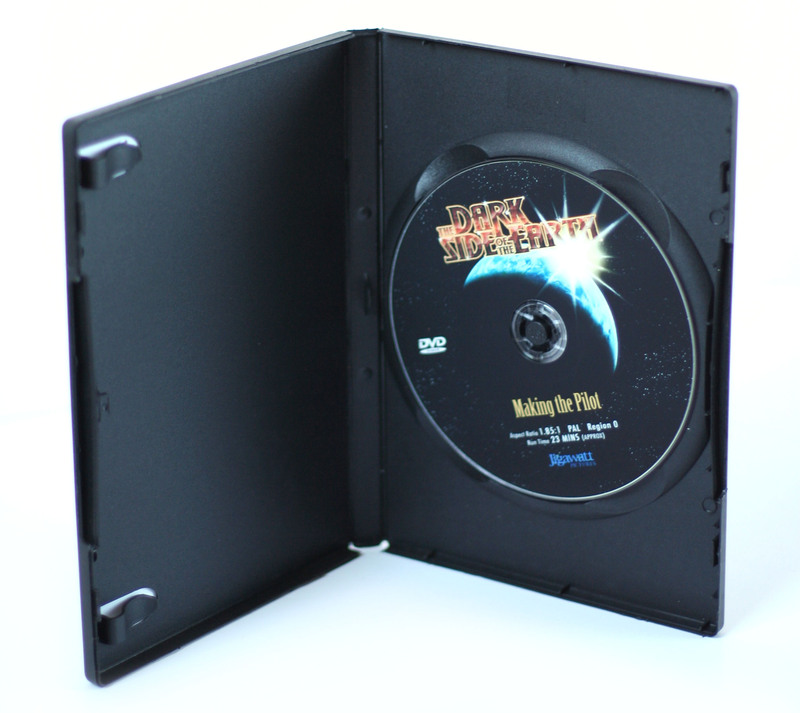 For a limited time only, donate £10 to Stop/Eject using the Paypal button below or in the righthand sidebar and you’ll receive either a sandbag or a Making the Pilot DVD – your choice. (Note: these items will ONLY be sent to a mainland UK address.) You’ll also get the usual rewards: a thank you in the credits, an invite to the premiere, and a download of my unprecedented indie budget exposé, How to Make a Fantasy Action Movie for £28,000. All for just ten squid! The sandbags are saddle style, consisting of two zipped pouches, each capable of holding around half a stone (3.18kg) of sand (not included), and a sturdy handle. They’re handmade, upcycled and eco-friendly. Zip and handle colours may vary. Making the Pilot is a 23 minute documentary going behind the scenes of the demo sequence I shot for The Dark Side of the Earth in 2008 with Benedict Cumberbatch and Kate Burdette. All aspects of the production are covered, from building the puppet, costumes and set, through casting, swordfight choreography and 35mm cinematography to miniature effects and digital rotoscoping. Bonus features include a guided tour of the art department workshop, nine video blogs from the Cannes Film Festival, several videomatics providing low-tech glimpses of some of The Dark Side of the Earth’s biggest sequences, and extensive galleries of storyboards and concept art. This will probably be your last opportunity to get your hands on this rare DVD. Only a few copies remain and when they’re gone they’re gone. Note: the offers outlined this post are no longer available.